Honda also has plans in the works for a long-range Electric Vehicle, as well as a hybrid Honda CR-V crossover. The 2018 Honda Accord Hybrid takes the standard Accord, gives it a completely new design, boosts the EPA range rating to more than 600 miles*, and introduces a new two-motor hybrid powertrain. Honda also expanded the Clarity family with the Honda Clarity Plug-In Hybrid. This vehicle has arrived, and this model is set to lead the midsize plug-in hybrid class with a 47-mile*, all-electric range thanks to its 25.5-kilowatt battery, and there’s also an efficient 1.5L Atkinson engine in store that extends the Clarity PHEV’s range to 340 miles. Not only can you expect environmentally friendly performance, but inside you’ll discover environmentally conscious materials that don’t sacrifice a premium cabin feel. Finally, Honda’s hybrid future features the Honda Clarity Fuel Cell Vehicle, which runs on hydrogen and oxygen to result in electricity. This setup allows for a range of up to 366 miles*, according to the EPA. With many new models ahead, Honda’s hybrid future is bright. By 2019, Honda is slated to introduce a new, longer-range electric vehicle in China. A hybrid Honda CR-V crossover will also soon hit the Chinese market, which will feature Honda’s two-motor i-MMD hybrid system. Further, the hybrid system currently under the hood of the Acura MDX Sport Hybrid will one day power a Honda Odyssey model, making it more competitive with the likes of the Chrysler Pacific Hybrid. 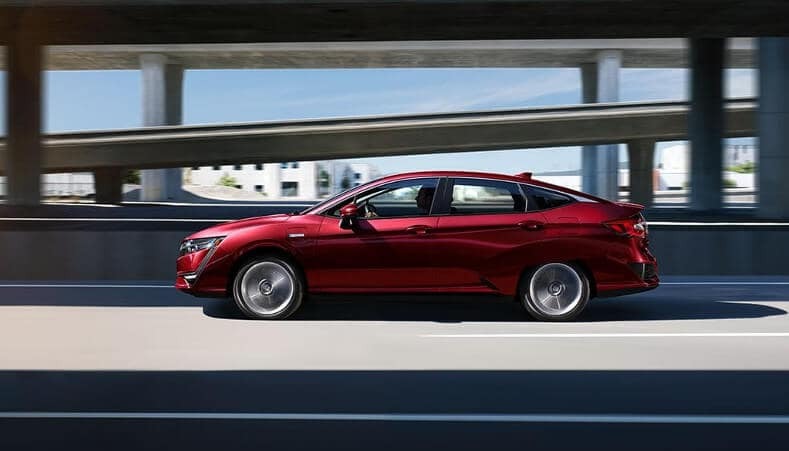 The 2019 Honda Insight Prototype was recently introduced as the latest Honda fuel-efficient vehicle. If offers for seating for five and plenty of modern, technologically advanced features, and it’s powered by a fuel-efficient hybrid powertrain. Keep in touch with Middletown Honda for the latest information on Honda’s hybrid future and to continue to learn more about the advantages of driving a hybrid. *Anticipated EPA range rating based on Honda internal data. Final EPA range rating not available. Use for comparison purposes only. Your range will vary based on how you drive and maintain your vehicle, driving conditions and other factors. *Based on 2018 EPA range rating. Use for comparison purposes only. Your range will vary depending on how you drive and maintain your vehicle, driving conditions, battery-pack age/condition, and other factors.